Narendra Modi Biography:- Narendra Modi is a leading Indian politician and the current Prime Minister of India. He is known for leading his party Bharatiya Janta Party (BJP) to a historic win in 2014 elections. He became the first Indian Prime Minister born after independence. He rose from a poverty-stricken tea-selling boy to a development-oriented leader, eventually becoming the longest-serving chief minister of Gujarat for 12 years. He became a controversial figure after the 2002 Gujarat riots. His government was accused of not doing enough to curb the riots. He is a protégé of L.K. Advani and is known for running an incorruptible government through his incisive decision-making qualities. Even though his economic policies have been praised, he is criticized for failing to make a much positive change in the overall human development in Gujarat. 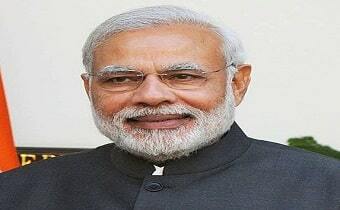 Narendra Damodardas Modi was born on September 17, 1950, in the small town of Vadnagar, Mehsana, Gujarat, as the third of six children, to Damodardas Mulchand and Heeraben Modi. Belonging to the backward Ghanchi community, he started selling tea at Vadnagar railway station at a very young age, after which he set up a tea stall near a bus terminus with his brother. After completing his schooling in Vadnagar in 1967, he left home and traveled across India exploring its expansive landscape and diverse culture, visiting Rishikesh, the Himalayas, Ramakrishna Mission, and Northeast India. He returned home after two years and went to Ahmedabad to join Rashtriya Swayamsevak Sangh (RSS) as a fulltime pracharak (campaigner) in 1971. He completed his graduation from Delhi University in political science through correspondence in 1978 and obtained a Masters degree in political science from Gujarat University in 1983. During the 1975-77 national emergency imposed by the then Prime Minister Indira Gandhi, Modi remained underground and traveled in disguise. He made use of various tactics including printing and distribution of pamphlets to oppose the government. This brought his managerial, organizational and leadership skills to the fore. He joined the BJP in 1985 and was made the organization secretary of its Gujarat Unit in 1987. He contested for Ahmedabad Municipal Corporation elections and won the same, giving BJP its first-ever win. His capabilities were recognized within the party after he helped in conducting L.K. Advani’s Ayodhya Rath Yatra in 1990, which became his first national-level political assignment, followed by Murli Manohar Joshi’s Ekta Yatra in 1991-92. He played a major role in strengthening BJP’s presence in Gujarat after the 1990 Gujarat Assembly elections. In the 1995 elections, the party won 121 seats, thereby forming the first-ever BJP government in Gujarat. The party remained in power for a short period, which ended in September 1996. In 1995, he was appointed as BJP’s National Secretary and relocated to New Delhi, to handle activities in Haryana and Himachal Pradesh. He became the General Secretary (Organization) in 1998, a position through which he resolved internal political disputes and helped BJP win the 1998 Lok Sabha elections. He contested in the 2002 Gujarat assembly elections for the first time and won a seat from Rajkot-II, and became the Chief Minister of Gujarat. His government was accused of not doing enough to curb the Gujarat riots of 2002. The riots occurred in retaliation to burning of Hindu pilgrims in a train near Godhra. He was forced to step down as the Chief Minister following opposition from both inside and outside Gujarat. However, he was re-elected as the Chief Minister in December 2002, after BJP won the assembly elections. Supreme Court due to lack of evidence of his involvement in the violence. Even though he claimed to have taken measures to bring prosperity and development in Gujarat, many studies and statistics indicate that the state does not rank very high in human development, education, nutrition, and poverty alleviation. He was selected as BJP’s prime ministerial candidate in the 2014 Lok Sabha elections, which was subtly opposed by some party veterans such as L.K. Advani. He, however, won both the seats (Varanasi and Vadodara) that he contested, but eventually retained the Varanasi seat. The BJP won a historic 282 of 534 seats in the 2014 elections, trouncing the ruling UPA led by the Indian National Congress. Following the incumbent Gujarat Chief Minister Keshubhai Patel’s failing health, corruption allegations, and poor management of the Bhuj earthquake, he was chosen as a replacement and sworn in as the Chief Minister in 2001. Upon assuming power for the second term in 2002, he emphasized the state’s economic development and eventually turned it into an attractive investment destination for businessmen and industrialists. He was elected the Chief Minister for a third term in 2007, wherein the improved agricultural growth rate, provided electricity to all villages, and ensured rapid development of the state. Gujarat became the largest producer of Bt Cotton. The Gujarat government under Modi brought electricity to every village in the state. He significantly changed the state’s system of power distribution by separating agricultural electricity from rural electricity. Modi played a very important role in BJP’s election campaign of 2009 as well as 2014. During his reign as Chief Minister, he made successful efforts to invite foreign investments in the state of Gujarat. After assuming office as the 15th Prime Minister of India, he has initiated many ambitious projects and programs such as “Swachch Bharat”, “Make in India”, “Clean Ganga” etc. He has shown great resolve to strengthen ties with the neighboring countries and also improve the bilateral relations with other countries of the world. FDI magazine honored him with the Asian Winner of the ‘FDi Personality of the Year’ award, in 2009. He featured on the cover page of March 2012 issue of TIME’s Asian edition. In 2014, he ranked at #15 on Forbes magazine’s list of the ‘World’s Most Powerful People’. He was listed among ‘Time 100 most influential people in the world’ by Time magazine, in 2014. He was named as the second most-followed politician on Twitter and Facebook on the ‘30 most influential people on the internet’ list released by Time magazine in 2015. He married Jashodaben Chimanlal, at the age of 18, according to the traditions followed by the Ghanchi community. As per reports, the marriage was never consummated and eventually resulted in separation. As a teenager, Narendra Modi ran away from home and went to the Himalayas where he lived for two years with sadhus. Gujarat, which resulted in the death of over 1000 people. Modi was the chief minister of the state at the time of the riots. 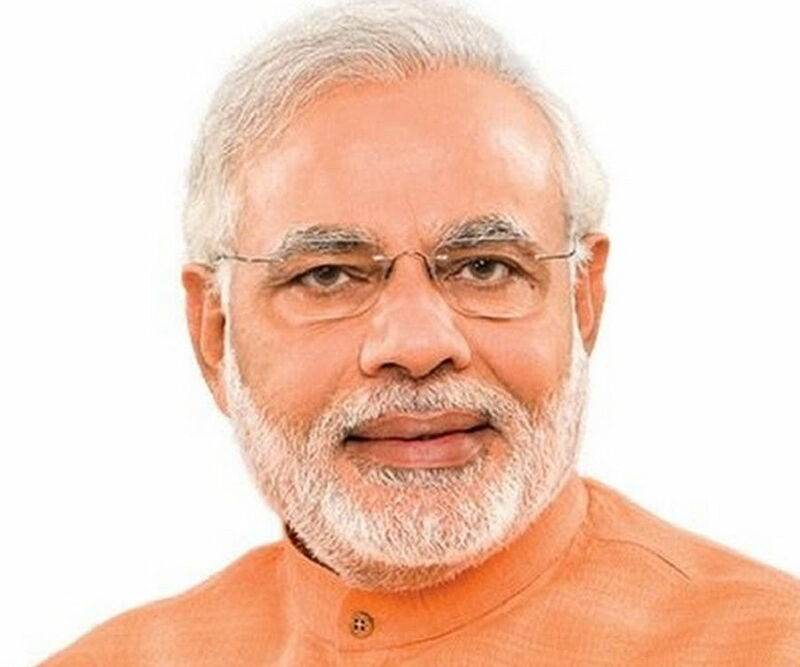 Modi is the first Prime Minister of India who was born in ‘Independent India’, that is, after August 15, 1947. He is the first Indian Prime Minister whose mother was alive when he took office. He is known to be a cleanliness maniac. He is a strict vegetarian, a teetotaler, and doesn’t smoke. He is a religious Hindu and fasts all nine days during Navratra every year even while he is traveling. He has literary interests and writes poetry in Gujarati. Modi is known for being very stylish in his dressing and has a preference for traditional Indian attire. He sleeps for only five hours a day or less.